We are off for Easter Weekend. We resume bowling at Fort Dodge, IA on April 28th. This is also a Iowa Central Community College showcase day! Who's registered for Fort Dodge? Providing competitive bowling for youth bowlers of all skill levels with no handicap or average verification required. Would you like to be on the USBA email list for future events? 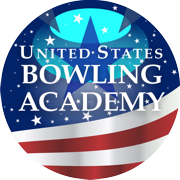 Join the United States Bowling Academy family with our online bowling community. Create a profile, interact with other members and join interest groups. The United States Bowling Academy coaching staff is qualified to work with local USBC Associations in fulfilling the new Performance Standards for education. Bowling Centers and Local Associations can create their own bundled programs including building youth programs, bowler education, coach training and marketing.